The Huskie Food Pantry needs volunteers for the Fox Valley Marathon on Saturday, Sept. 9, and on marathon day, Sunday, Sept. 17. Volunteers will be helping with operations and setup for an aid station (Sept. 9 at the Fabyan Forest Preserve location in Geneva, IL) and village operations (Sept. 17 in St. Charles, IL). 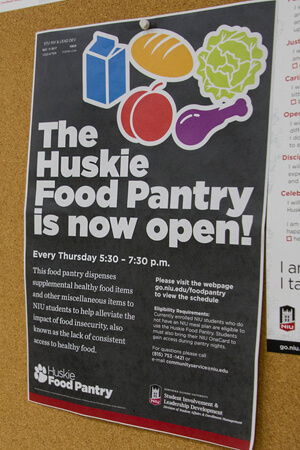 The Fox Valley Marathon will donate to the Huskie Food Pantry in return for our volunteer hours. If you have any questions or would like to sign up, email kmoran2@niu.edu or communityservice@niu.edu.